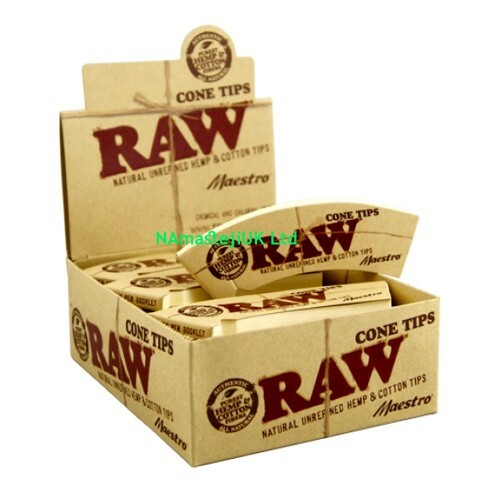 RAW maestro cone tips, unrefined pure hemp and cotton rolling papers. RAW Maestro Tips are made with the softer hemp cotton paper. They're easier to roll and cut longder with the cross perforations for extra support and trick rolling ease. Although the Maestro tips are longer, both tips have the same width. Features RAW maestro cone tips made from pure hemp and cotton rolling papers.